Our event framework has been in need of enhancement for a while. It is a fantastic framework, but as we add more content we realized that there are a few things we are using it for that are better implemented using some additional systems. Specifically, how players are allowed to interact with different factions and giving the player tools to change their standing with those factions. We wanted to give players a physical control point for all of this (rather than having to use randomly timed events as a control point) so we’ve implemented the Foreign Office. From a 3x Foreign Office diplo rush attempt: installing cots for more efficient bureaucracy crunch-time. 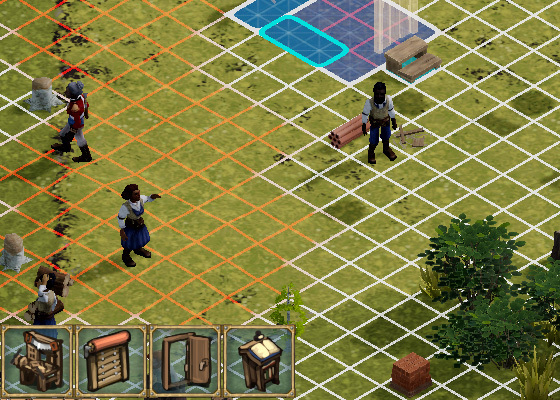 The Foreign Office is where the player can actually change how other (human) factions feel about them by employing work crews who toil away filling out forms for various requisitions, award applications, and bureaucratic minutiae in order to generate large enough volumes of paperwork to complete diplomatic missions. Just like in real life. With the Bandits, this might be requesting/forging official papers, intercepting trade convoy information and giving it to them in exchange for improved standing, or setting up an uneasy truce. For dealing with the Empire, we already have the prestige system which was intended to be used like this in the first place, so we’re pushing the prestige/favour content into one filing cabinet of the Foreign Office. Posted in Clockwork Empires	| Tagged alternative proposals for bureaucracy management include Coggy the steampunk managing gear assistant, bureau, bureaucramancy, new feature: bureaucratic crime simulation, the stunning imperial bureaucracy, to the bureaucradome! We made a decision early on to release iterative progress on systems instead of waiting until systems are done for a number of reasons. It gives you reassurance that development hasn’t stalled when, every month, you can load up the game and see new iterative changes that generally improve upon the previous build. It also has the effect of allowing us to get feedback on the direction we’re going because most of our systems are at least somewhat unique, so we need to do some amount of field testing on them as we go. One of the downsides to this process is that an unfinished system can often seem worse than the lack of the system entirely. I always picture this somewhat like giving people early access to drive a car as it’s being built: Some things feel very much like a car right away, but then you’re driving around without safety features and it can feel like you were better off before the engine was put in. At this point the analogy breaks down a little because we’re not actually putting your health at risk by testing how a car would work without airbags, but you get the idea! 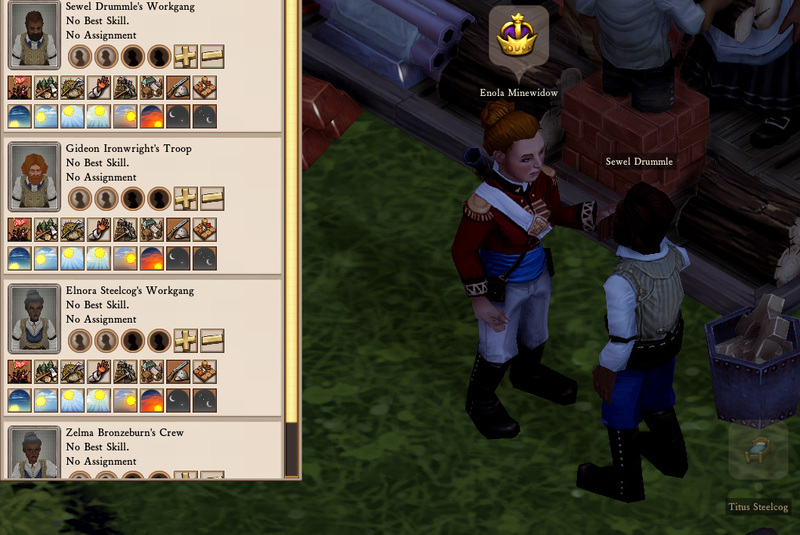 Now that we have a much more detailed view of how we envision the specifics of Clockwork Empires, we’ve been revisiting much of the UI we initially wrote to carry us this far. Now we’re looking at it with an eye for usability and better presenting the information that should be important and visible to the player. You may recall the revamp of the Work Crews element last month – the element that we’re looking at right now is the character information panel. We have been getting away with a very crude character UI because most people don’t seem to expect that a deep, complex character simulation is going to give you a way to immediately decipher exactly what is going on within that character. Not only is that a tall order to ask for a user interface but it might even lower your appreciation for the simulation by peeling back the curtain a bit too far. A certain element of mystery can be a good thing. 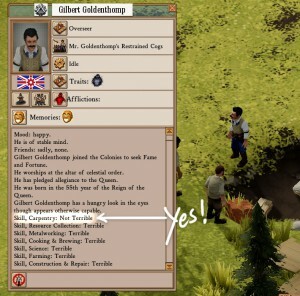 At its (*) heart, Clockwork Empires is a game where you organize people and build stuff. Those are the two main systems of player interaction with the game. You reward yourself for building things however you like, we reward you for building things effectively. Similarly, we reward you for organizing people effectively, and you can reward yourself by trying to get two characters to fall in love, start a riot (or a cult), and otherwise doing whatever it is you think would be most interesting. The core features of the “build stuff” system are almost at their minimum viable state of “complete” (which we will continue to add frosting to): You can construct and destroy modules, buildings, and zones, but there are a few cases where doing so causes the game to get really unstable, so we’re working on that. We’ll expand this to include “rearranging” and probably also “upgrading” once the constructing and destroying have all their kinks worked out. The reward mechanisms are in too, but they’re more-or-less in a continuous state of refinement & iteration as we move away from “congrats, you get double production of widgets!” to more interesting rewards. 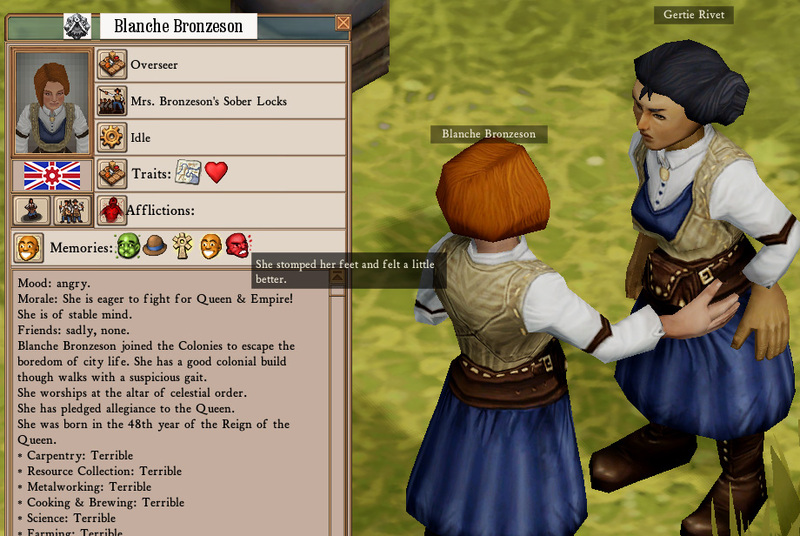 One of the many things we’re working on this month is improving the fidelity of character personalities. 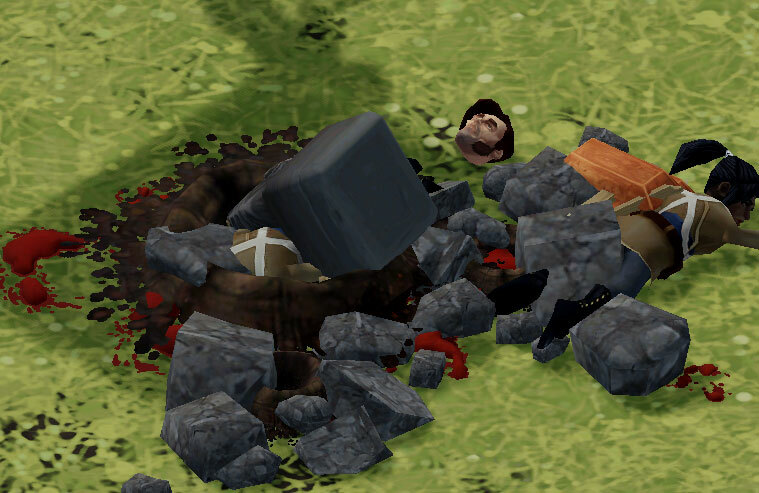 Clockwork Empires runs a pretty cool algorithm for the characters wherein they attempt to better their lives when they find free time. If they’re angry, afraid, sad, or just bored they have a number of ways to resolve these cases, but until the present the majority of the options for making themselves feel better were solitary actions. 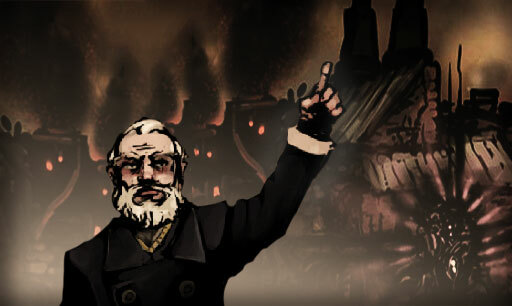 For example they would look at paintings, stomp on the ground, drink an entire bottle of whiskey, and so on, with preferences for these actions based on the traits the character possesses (“Brutish” characters, for instance, are more inclined to solve their problems with violence). 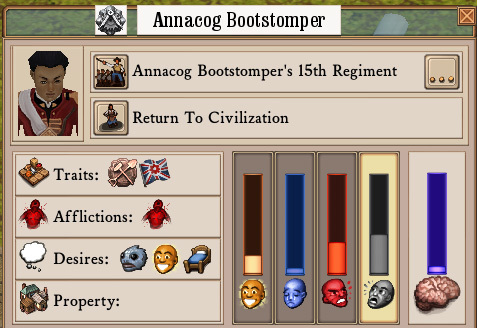 Stomping is pretty great, isn’t it? We’re running two game design experiments on our internal build, both of which are going to fundamentally change the balance of the game if we stick to them, and it might be interesting for you to know why! Or turn back now and forever revel in blissful ignorance. Lord Palmerstoke has another great idea! Many of the start new game parameters are holdovers from when we needed to test things in the game quickly and easily, and we’re starting to re-examine what we give the player upon game-start with regard to what’s in their best interest. 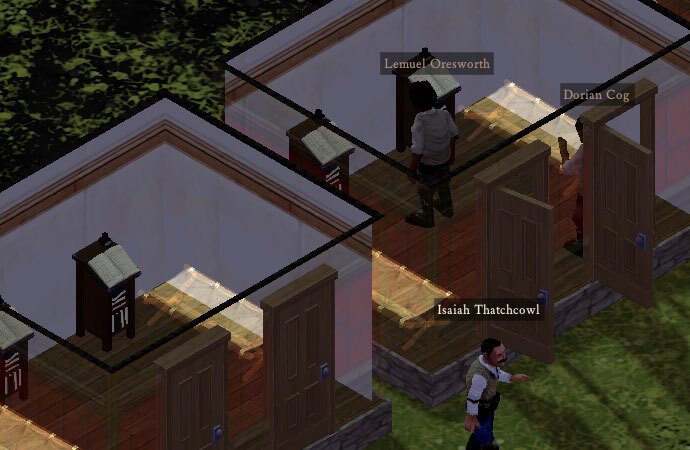 Usually we have been tending to reducing the resources the player has available at the start because we want to stress the importance of interaction with the environment. We toned down the number of logs given at the start as an initial test so that interaction with the environment is required to build anything and thus deal with an increased decision space. But we’re still dropping new players into a realm of “too much choice”. Starting resources can be allocated poorly, and players often designate dozens of jobs then get frustrated that they’re not all executed in the order or at the speed that they’d expect.